QUEENSLAND kids are finally free from school for two weeks - but don't expect to see them celebrating their holidays at Dreamworld. 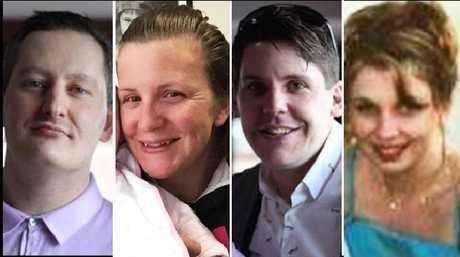 The Gold Coast theme park, which has been dragged through the mud for the past two weeks at the coronial inquest into the 2016 deaths of Cindy Low, Kate Goodchild, Luke Dorsett and Roozi Araghi, has been a ghost town since the court case started. Even after the first two-week block of the inquest ended on Friday, it's clear the theme park's usual school holiday customers are protesting with their wallets and patronage. The Courier-Mail reported yesterday that five rides were not operating - including Tower of Terror II, Buzzsaw and The Claw. The publication was also unable to spot more than a single person riding The Giant Drop - one of the theme park's most popular rides - and by 12pm the queue for the usually packed Rocky Hollow Log Ride was non-existent. Dreamworld has been a ghost town since the start of the school holidays. But the stark drop in holiday traffic and the damning evidence tabled at the coronial inquest in the past fortnight has barely affected parent company Ardent Leisure. In the past two weeks, the company's shares on the Australian Stock Exchange fluctuated less than 1 per cent between $1.97 and $2.02. In comparison, when Deborah Thomas was appointed Ardent's chief executive in March 2015, the company's shares plummeted 18 per cent and more than $200 million was wiped off its market value. Shares for Ardent also plunged 22 per cent soon after the Thunder River Rapids incident, with the company losing $500 million off its market value. Despite the first two weeks of the coronial inquest tabling mountains of damning evidence against the Gold Coast theme park ranging from serious safety failures, lack of emergency training and outdated machinery - Ardent Leisure's share price has stayed relatively stable. After the October 2016 incident had wiped millions off Ardent Leisure's market value, the company made sure Dreamworld was no longer a major part of the company. Ardent is also the parent company of Main Event Entertainment, a US-based company that has close to 50 play centres and is now the Australian company's biggest revenue earner. The entertainment centres, which are wildly popular in the US especially for kids birthday parties, offer things like bowling lanes, laser tag arenas and ropes courses. By dropping the importance of Dreamworld, Ardent has protected itself against things like the coronial inquest. "In the past, a large part of Ardent Leisure's income came from the theme parks in Australia, in particular Dreamworld, but with the hit to the crowds that has occurred since the tragedy and the costs involved, its earnings profile is a much smaller part of Ardent," CMC Markets chief market strategist Michael McCarthy told the ABC. "It was a recognition that this was a company-changing event, and management had to respond if the company was to survive." The struggling theme park has promised to get Australia's trust back - announcing a leadership shake-up over the weekend and promising to get Dreamworld one of the world's best safety ratings. 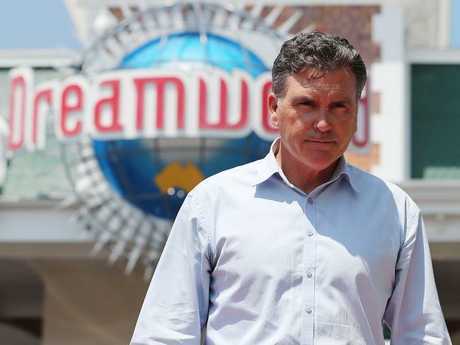 Ardent Leisure announced a major restructure of its management team - Dreamworld CEO Craig Davidson, who was in charge at the time of the Thunder River Rapids ride disaster, is leaving the company and a worldwide search is now underway for his replacement. Mr Davidson resigned last Friday, as the inquest into the deaths of Cindy Low, Kate Goodchild, her brother Luke Dorsett and his partner Roozi Araghi in 2016 wrapped up a damaging first fortnight of evidence. On Sunday, Ardent Leisure chairman Gary Weiss announced the managerial revamp, with Ardent chief experience officer Nicole Noye taking over as acting CEO of Dreamworld. She will be supported by the two new executive appointments of Phil Tanner as Director of Safety and former Queensland Police Inspector Mike McKay as Director for Culture, Community and External Relations. "We are committed to enhancing and augmenting the product mix of rides, attractions and shows to deliver a memorable and safe guest experience in our role as a significant player in the Queensland tourism market and continuing to provide employment opportunities for our local community," Mr Weiss said. He said in the statement the company had to learn from the troubling evidence that had emerged at the coronial inquest. "I have been deeply concerned by what has emerged from the inquiry over the past fortnight, and this is why it is important that we listen to the evidence, understand all we can and apply the lessons learned to ensure such accidents never occur at our parks," Mr Weiss said. Dreamworld suffered steep falls in visitor numbers following the accident in October 2016, and the park's subsequent 45-day shutdown. 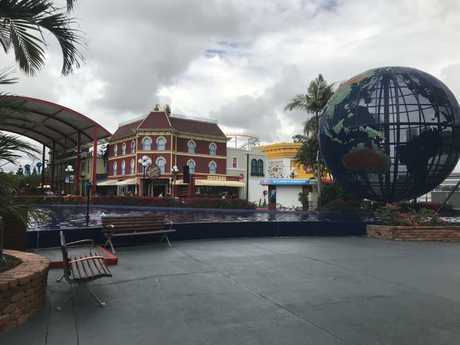 Revenue was also down 16.3 per cent to $265.6 million, but the company at the time said it expected to trade profitably in the second half of the financial year as Dreamworld attracted more visitors.